Traditional Indian food is amongst the best in the world but still hasn’t got its full due. There is so much to learn and savour from our cuisine and we need to promote it, irrespective of any physical boundaries. Food is a social and cultural marker which is tied to much symbolic meaning in our society. The diversity of recipes, ingredients and processes which we have access to is unique in its breadth and diversity. Design and innovation of these traditional recipes for modern Indian dining is also growing in its popularity globally as well as its reach in India’s metros. The food industry, which is currently valued at US$ 39.71 billion, is expected to grow at a Compounded Annual Growth Rate (CAGR) of 11 per cent to US$ 65.4 billion by 2018. Several global brands such as Mc Donald’s, Taco Bell, Pizza Hut, KFC have entered the Indian market and rapidly altered their products to suit the Indian palate. However, the same has not been acquired for Indian brands abroad. “It is important for products to incentivize and make fun each visit by paying heed to customer quirks. A good example can be found in Japan, where opening your mouth wide to swallow a burger is considered very rude and unattractive for women. Burger king on the other hand in Japan offers a hands free gadget for eating a burger. These quirky innovations and design interventions provide that much needed incentive to consumers in constantly visiting back again,” says Chef Manjit Gill, Corporate Chef at ITC. Secondly, what is achieved from positioning traditional Indian food. 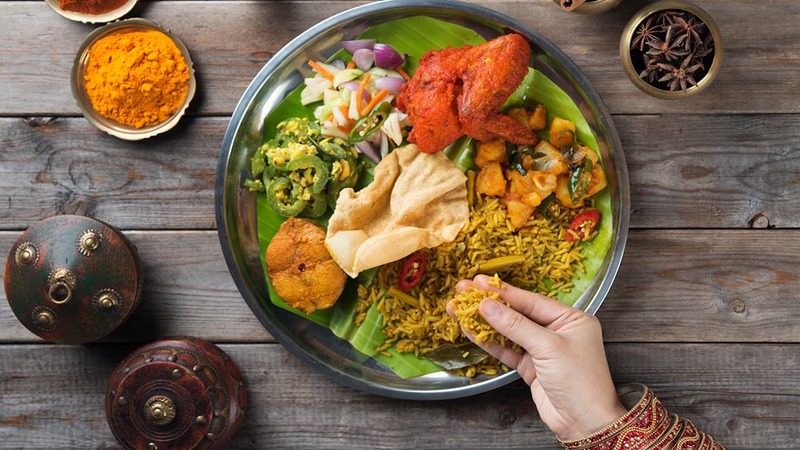 As Indian food comes in all varieties and qualities, it requires an industry around it to be positioned, monetized and traded. The food industry has the unique ability to create a vast livelihood structure in each geographical area to tackle the problem of gross unemployment in India. “Traditional Indian food is amongst the best in the world but still hasn’t got its full due. There is so much to learn and savour from our cuisine and we need to promote it, irrespective of any physical boundaries. Traditional Indian food is so good, everybody needs to experience it,” avers Celebrity Chef Sanjay Kapoor. Ethnic food has become serious business. It has made deep inroads into the global metropolitan culture all over the world. It has become a marker of the width of one’s cosmopolitan experience. Ethnic food has a public concern now occupies the same place that health food did three decades ago. Because everyone is looking for newer, stranger and rarer kinds of ethnic cuisine available in the global metropolitan culture has proliferated enormously in the last twenty years. “India’s food culture will go a long way in fulfilling the urgent need to archieve the recipes that drive our vast culinary heritage. These recipes otherwise would have lost in the passage of time. It is also an important vehicle to introduce the world India’s biggest soft power- Its wealth of gastronomy,” says Sourish Bhattacharya, Co- founder, Tasting India Symposium. Food is a unique form of entertainment because of the approachability it offers coupled with the basic human need to eat. It has the ability to touch lives because of the connectivity that comes with eating, drinking and feeding the people we love. It can break down cultural, religious and social divides and connect us on a vital platform and engage all divergent members of our society if we understand the binds that hold us together.